Smashing expectations one soaring harmony at a time, four women take on the western world’s most famous male musicians and reinvent them. A high energy, hilarious & devilishly bizarre adventure through the darkest corners of misogynist pop, rock, hiphop and RnB, Lady Sings it Better gets audiences dancing in their seats, faces aching from laughter. 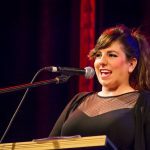 From Bryan Adams to George Michael, Usher to Bruno Mars, Nine Inch Nails to Meat Loaf, The Beatles to every 90s boyband you can name, Lady Sings it Better rips through your expectations of well-loved songs revealing strange themes, surprisingly hideous lyrics and untapped musical potential. 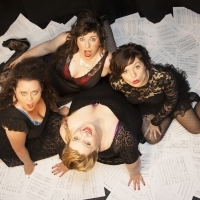 With backgrounds in musical theatre, jazz, pop, rock, folk and improvisation, the Ladies consistently deliver an incredible hour of entertainment for all tastes.